Staff use an assertive approach to managing behaviour based upon a system of rewards and consequences which have been discussed and agreed with the children at the beginning of each year. The emphasis within this is upon rewarding positive behaviour (catching them doing it right), rather than catching them doing it wrong. When children do not respond to this approach and persist with negative behaviour, they will be reminded of the consequences and invited to make a choice about their behaviour in the light of these consequences. Such instances will include the need to discuss behaviour with the teacher (or head teacher), the loss of play or personal time, or the discussion of the behaviour with the parents. ‘Circle Time’, is used as a forum for open discussion of right or wrong and often helps resolve disputes or real or perceived injustices. We commit curriculum time to this process. 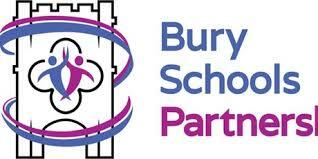 In the unusual circumstances of extreme behaviour occurring, it will be made clear that it is entirely unacceptable, parents will be contacted and encouraged to work in partnership to address the situation. If the behaviour persists, then an Individual Behaviour Plan will be drawn up and shared with parents. This will make clear the targets for improvement, the strategies to be employed and the roles that various adults will play. The behaviour policy is available from the school office and on the school website.